The shortbread can be made in advance and then served on the night. 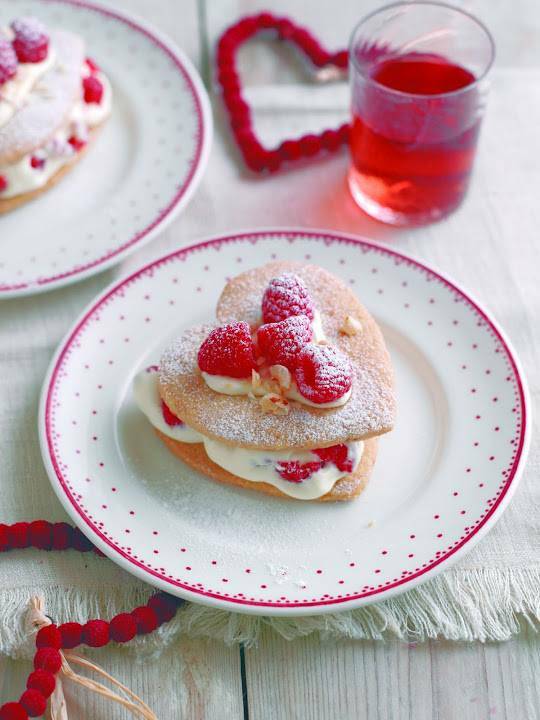 Generously filled with vanilla flavoured whipped cream and fresh raspberries these make a dainty dessert. The biscuits are also great served with yogurt or ice cream. Toast the hazelnuts under the grill until lightly browned, roughly chop 25 g (1 oz) of the nuts and reserve for the top. Finely chop the remainder then leave to cool. Put the flour into a bowl, add the sugar, vanilla, cinnamon and butter and rub the butter in with fingertips until it resembles fine crumbs. Stir in the finely chopped hazelnuts then squeeze the crumbs together with fingertips until they form a ball. Knead lightly then roll out on a lightly floured surface and cut twelve, 7.5 cm (3 inch) hearts with a biscuit cutter, re-rolling and trimming as needed. Put shortbread hearts on to ungreased baking sheets and cook at 160°C / 325°F / Gas mark 3 for about 15 minutes until pale golden. Leave to cool on the baking sheets. When you’re almost ready to serve, whip the cream, icing sugar and vanilla until it forms soft swirls. Crumble in half the raspberries then spoon the cream over 6 biscuits, keeping a little back for the tops. Press a biscuit on the top of each then decorate with the remaining cream, the whole raspberries and a sprinkling of the roughly chopped nuts. 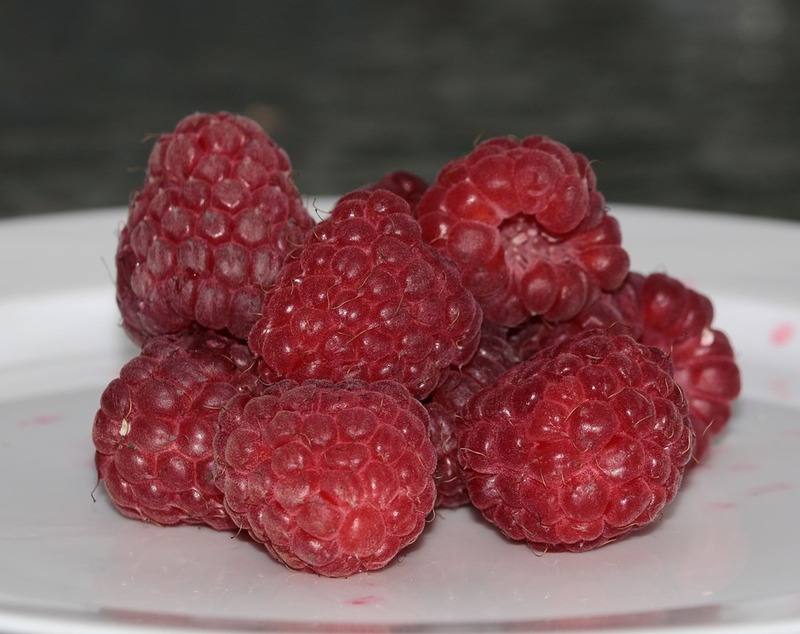 There will be loads of Spring berries from Spain around for Valentine’s ….